Goodbye Jacks... hello booties. I've been wearing these with dresses instead of my sandals since Labor Day. I am ready for fall clothes and something different. Anyone that has asked me where I bought these is surprised when I say Kohl's. I like that they are low cut around the ankle and the dip in the front helps to elongate your legs. If you don't know how you feel about the trend, great way to test it out without breaking the bank. I have had a set of these cubes (dubbed "Shoeville" by my father) since college and switch out shoes each season. 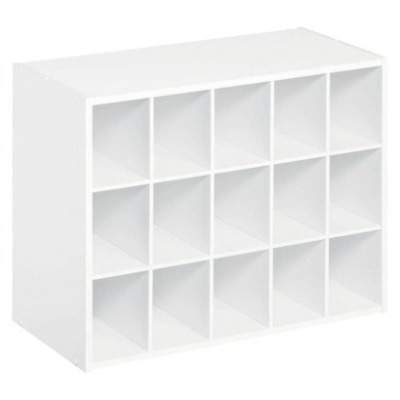 Until the day when I have my dream custom closet with shoe shelves, these work just fine. Moving on... I made these Skinnytaste Spinach Lasagna Rolls earlier this week. Easy and delicious. Now that I know about this site I am seeing the recipes all over blogs and Pinterest. Any other Skinnytaste recs out there? Did you watch the premier of X Factor? 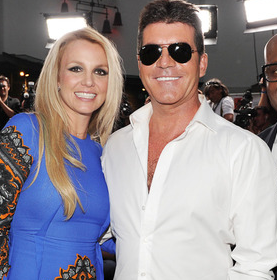 The last thing I need in my life is another reality show... especially since I'm now hooked on the train wreck Here Comes Honey Boo Boo.... but I'm so happy to see Simon and Britney back on the scene. IMO, this is the perfect post. anything with organizational, cooking and shoes tips all in one make me so happy. this recipe looks like it could easily be a winter staple in my house! Boot season is starting! YEA! I love those booties! 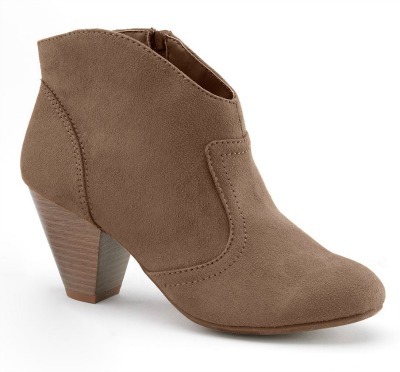 I've never quite been able to take the plunge with booties but I might give it a try with those! I love skinnytaste! I try to make a recipe from there or Eat Yourself Skinny once or twice a week. I tried the zucchini boats recently and Corey and I both loved them!!! Um, are you serious...you found those at Kohls? They are a steal! I agree, you have to have the front dip to elongate your leg. 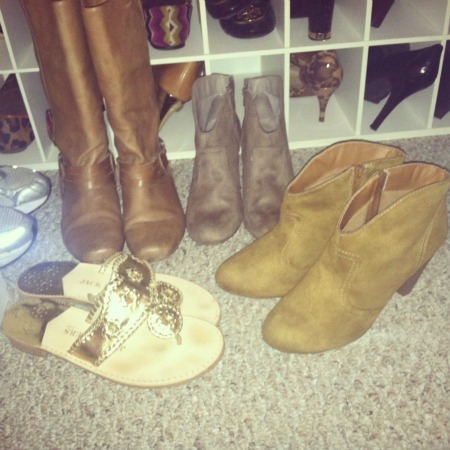 I use the same shoe organizers in our closet (x3), they are the closest to pretty organization I get! Those boots are adorable and what steal! I'm ordering a pair now. I have never heard of Skinnytaste I def need to check that blog out. I'm a big fan of dashingdish.com for healthy and easy recipes. Yayy... I'm glad someone liked my recipe post! Skinny taste is the best web-site ever! Try the Skinnytaste Baked Ziti! 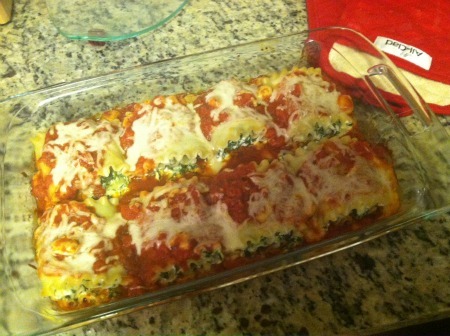 My first skinnytaste recipe was the spinach lasagna rolls and ziti was the second, and was so good. I love those booties! I've been wanting to try them for fall, so I'll have to check for some at Kohl's. The mushroom risotto recipe from Skinnytaste is one of my absolute favorites!! SO good! That is such a great deal on those booties! Love your blog! Those lasagna rolls are a hit in our house! Just bookmarked that recipe. YUM!